Hi I'm new to the forum but old to the Honda family, Greetings from North Carolina. 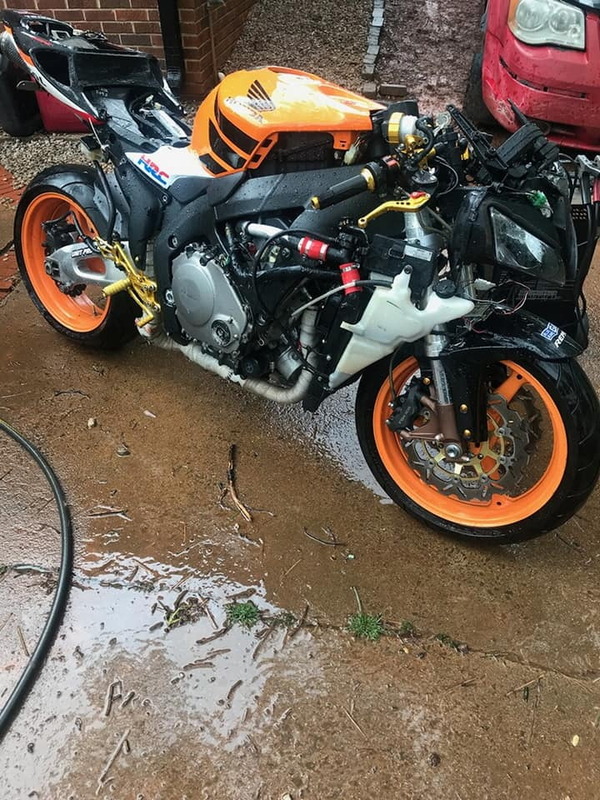 I got the bike yesterday off craigslist for a steal so its going to be a Work in progress, I have all the OEM plastics brand new in box. Last edited by CaBaRet; 04-15-2019 at 09:44 AM. Didn't know of it myself, interesting look! I didn't think that Honda made a repsol version until 2005 and only in odd years, until recently. Thank you I'm really excited to get it put back together. Is there somewhere on the net where I can put the vin # and get all the information on the bike?